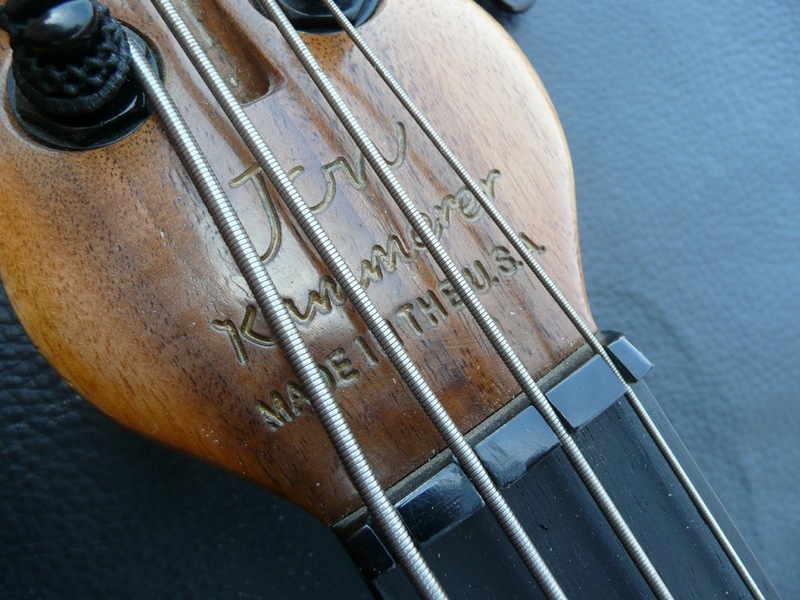 Jon Kammerer makes guitars and basses in Iowa. 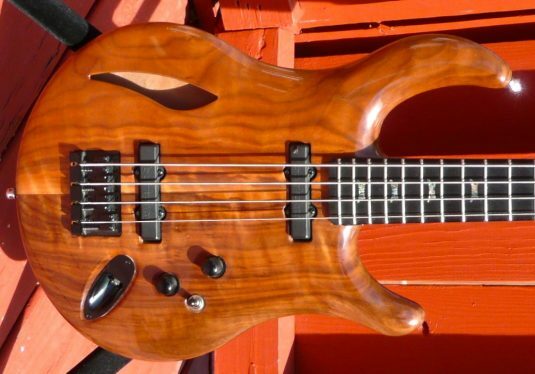 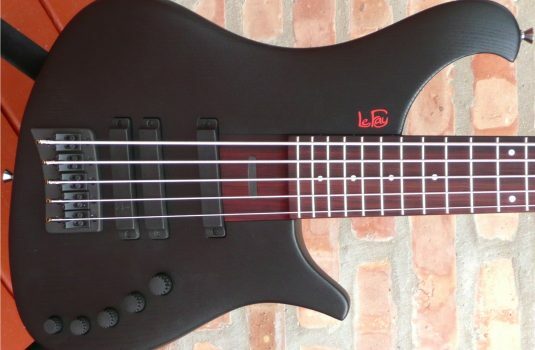 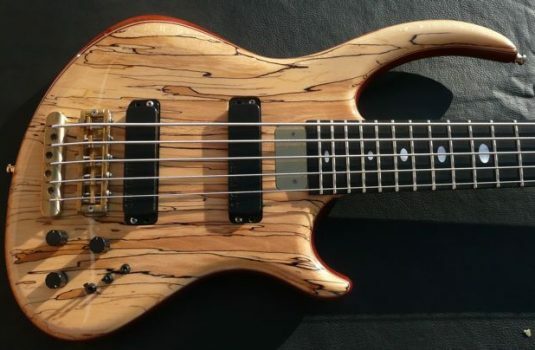 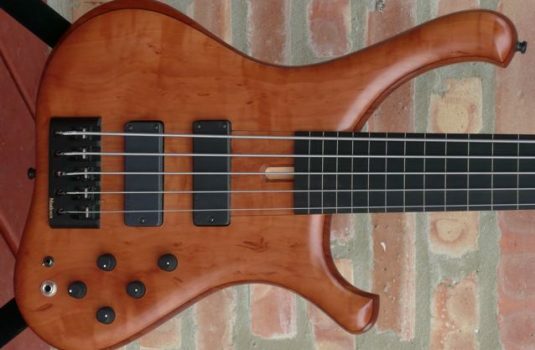 He makes very few basses , and this one is a beaut with a unique voice and character. 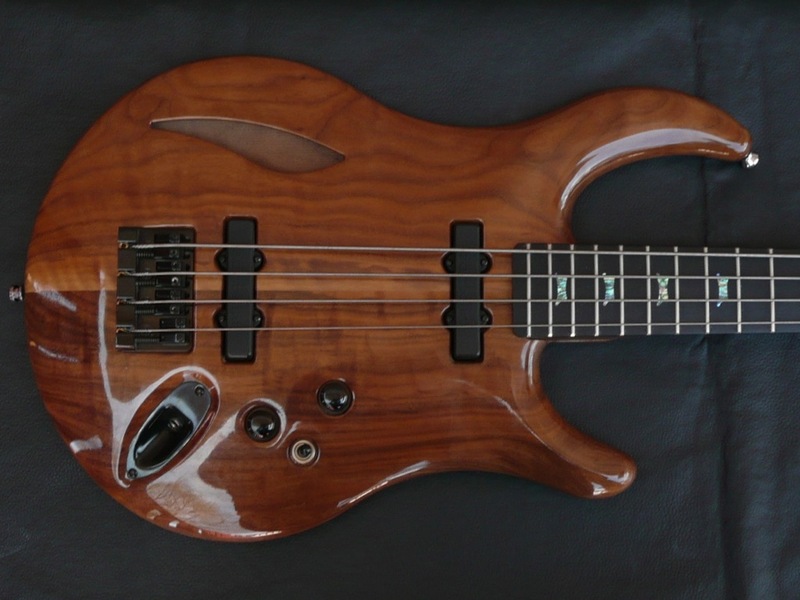 Do you like Walnut ? Note the pickup placement – this plays a big role in this bass’ voice. 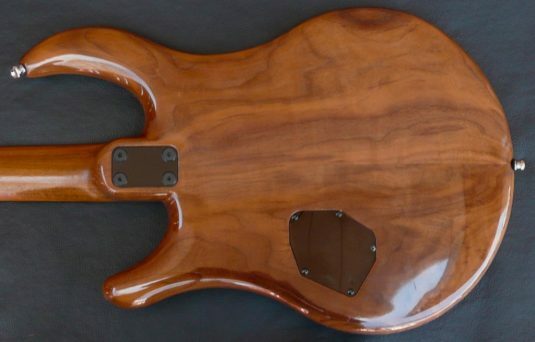 The neck pickup , placed the the end of the fingerboard, gives a deep and thick tone, I’d say “tubby” but certainly NOT “muddy” . 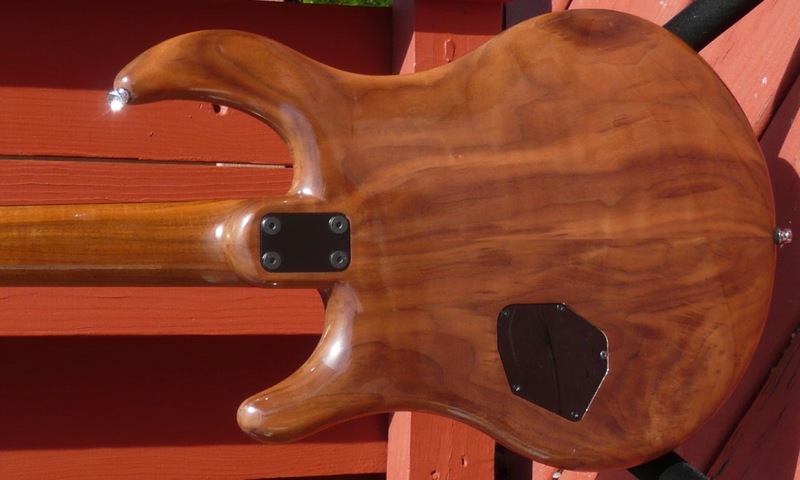 The bridge pickup is very close to the bridge, creating a quick and tight attack. 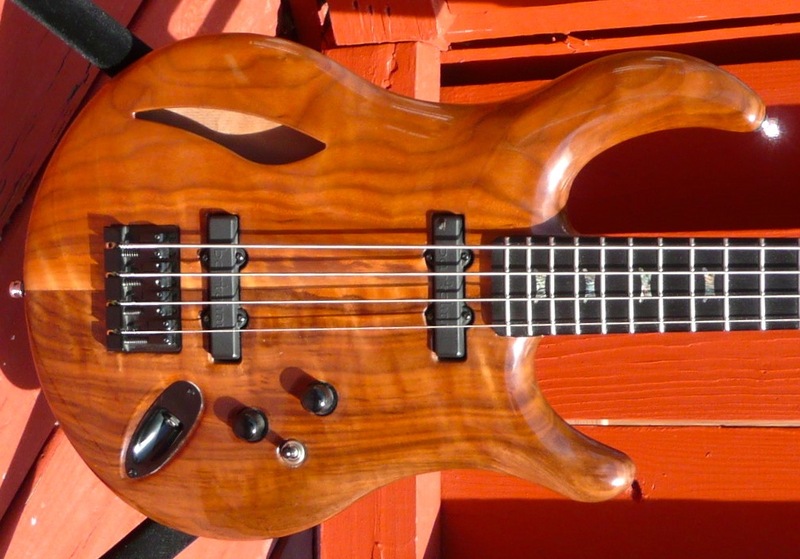 The two pickups blended , together with the hollow body, give this bass a full range and rich character.